Note: Polk County Public Schools had an excellent showing at the 91st National FFA Convention in Indianapolis, where teams from two schools (Kathleen High and George Jenkins High) ranked among the nation’s best in their events. In addition, 13 students from our schools were awarded the American FFA Degree, one of the organization’s highest honors. See the full recap here. 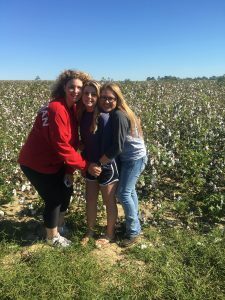 At the end of October, more than 50 Polk County students embarked on a week-long journey to Indianapolis for the 91st National FFA Convention and Expo. 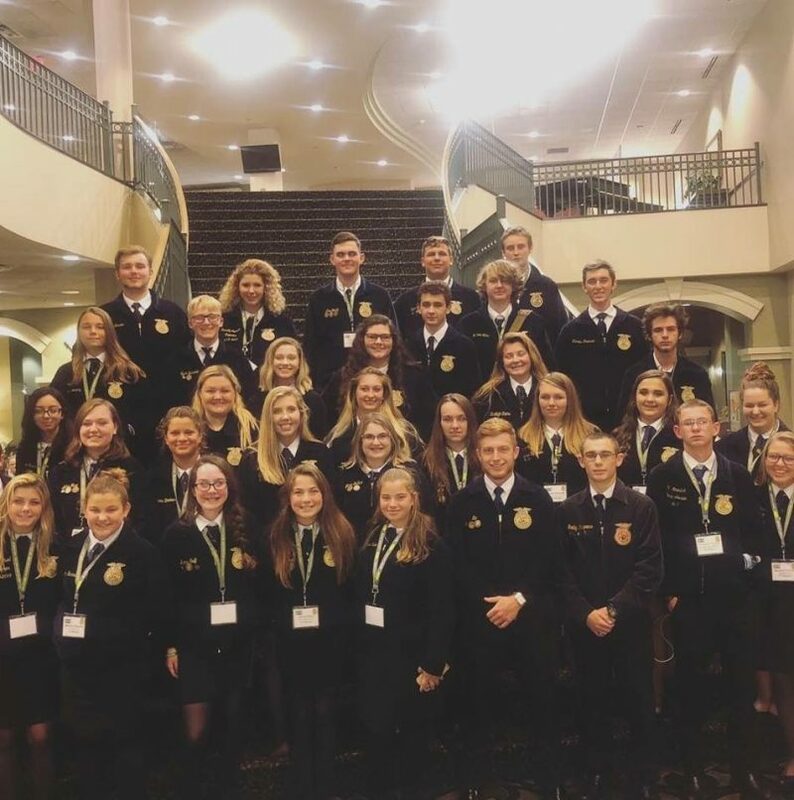 Utilizing this opportunity to expand Polk students’ experiences outside of the state, our school district’s FFA advisor, Paul Webb, organized multiple stops along the three-day bus ride to Indy. The first location outside of Florida was Ellis Brothers Pecans in Vienna, Ga., where we saw agritourism at work. A small nut store with various homemade products and ice cream was the perfect start to a week-long trip. Students could also walk across the road to view the cotton right before it was harvested. 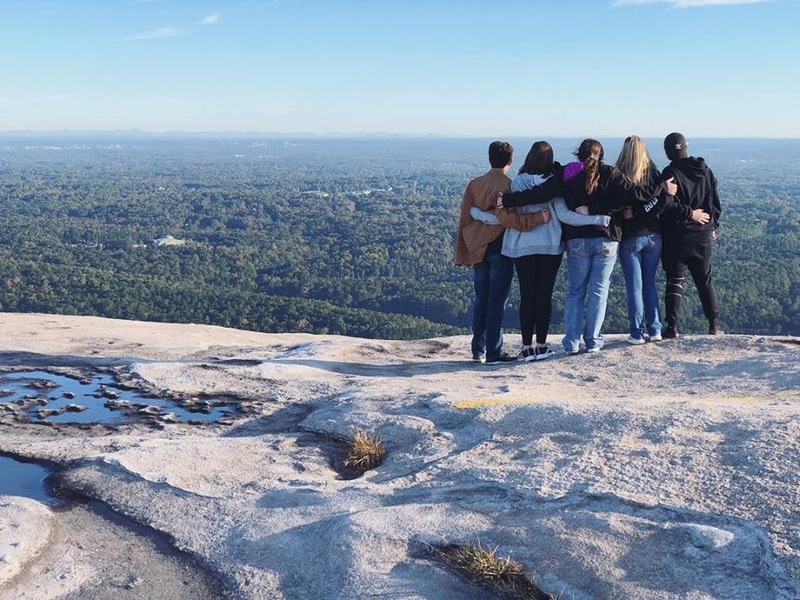 On Monday morning (Oct. 22) we laced up our walking shoes and ventured up Stone Mountain. Hiking at 8 a.m. in 47-degree weather woke us up for sure! It was about a mile hike up to the top, then a nice cable car ride down the other side to the visitor center. 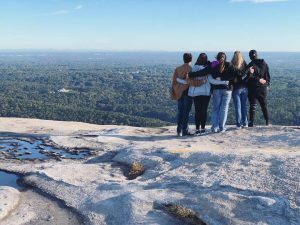 We learned that the same man who began carving the Stone Mountain Confederate Memorial stopped midway because he was asked to start a project in South Dakota: Mount Rushmore. After our mountain adventure, we traveled to Rome, Ga. to tour Berry College. As FFA members, we were all pretty fascinated with their dairy, beef and equine units. The fact that they had a Chick-fil-A on campus also helped students keep Berry in mind as a contender in our college picks. Mr. Webb felt at home while we were there, because Berry is his alma mater. We ended our day in Bowling Green, Ky.
Tuesday’s adventures started with another rigorous exercise in Mammoth Cave. We traveled the winding paths of the caves for about three quarters of a mile. We learned about the formation of caves, and how underwater rivers played a crucial role in the creation of Mammoth, which is the world’s longest cave. It was incredible to see such an extraordinary piece of nature. We then went to tour the National Corvette Museum in Bowling Green. The museum showcases the evolution of the Corvette since its creation in 1953. A special model was designed to recognize those who passed away during the attacks on 9/11. There was also an exhibit for the sinkhole that demolished eight Corvettes at the museum in 2014; they restored some of the cars, but others are still dusty and dented from falling in the hole. We spent the rest of the week at the FFA Convention in Indianapolis watching national contests, exploring colleges in the expo hall, meeting career professionals, and creating friendships with those from around the country! We left on Saturday afternoon prior to the final session. President Trump came to speak at the convention during the final session, marking the first time since 1991 that a president has spoken at the event. It was an amazing trip that encouraged us as Polk County students to become more involved in our communities, think about our future, and fall more in love with the National FFA Organization. In keeping with the theme of this year’s convention, the experience was “Just One” to remember.